HCM CITY — The Saigon Union of Trading Co-operatives (Saigon Co.op) and Saigon Co.op Investment Development Joint-Stock Company (SCID) on January 12 opened a Sense City department store on Phạm Văn Đồng Street in HCM City’s Thủ Đức District. Located on the first, second and third floors of Giga Mall at 240-242 Phạm Văn Đồng Street (previously Kha Vạn Cân) in Hiệp Bình Chánh Ward, it is Saigon Co.op’s first Sense City in HCM City and the fourth in the country. The others are located in Cần Thơ, Bến Tre and Cà Mau. With a modern design covering 30,000sq.metres, Sense City Phạm Văn Đồng offers a full range of shopping, dining, and leisure options under one roof. Its food court area offers more than 200 typical dishes of Việt Nam and other Asian countries. The modern shopping area features hundreds of international and local brands such as Nike, Adidas, Levis’, G2000, Fit Flop, Noir, Aldo, high-end jewellery brands, Fahasa bookstore, Dream Kids children’s playing area, Starbucks, Highlands, Wayne’s Coffee, and a Singapore-standard Co.opXtra hypermarket selling imported special and high quality Vietnamese products. Nguyễn Thành Nhân, Saigon Co.op’s general director, said that Sense City reflected Saigon Co.op’s intention to cover all market segments. 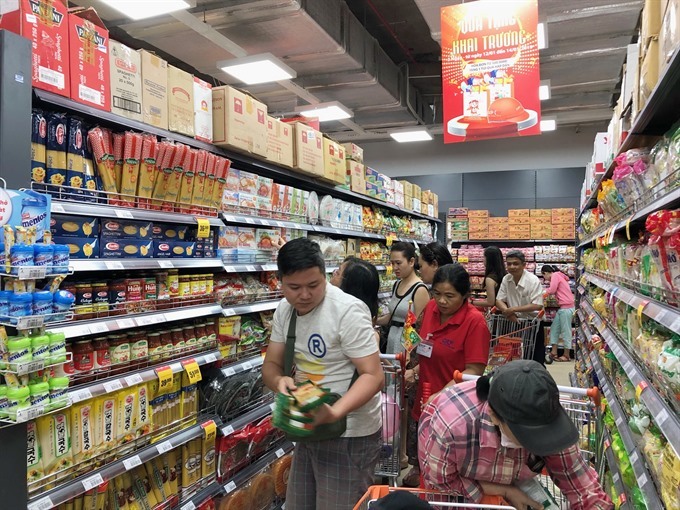 Sense City Phạm Văn Đồng, with the Co.opXtra hypermarket inside, would offer an ideal shopping and entertainment destination for people living in Thủ Đức District and surrounding areas, especially during the Tết (Lunar New Year) holiday, he said. To celebrate the opening, Sense City Phạm Văn Đồng had organised music shows on the weekend and a lucky draw with prizes including a Honda SH scooter, vouchers worth a total of nearly VNĐ20 million (US$862). Meanwhile, Co.opXtra is offering sharp discounts on hundreds of products and high reward points to customers who register for its membership cards for the first time.